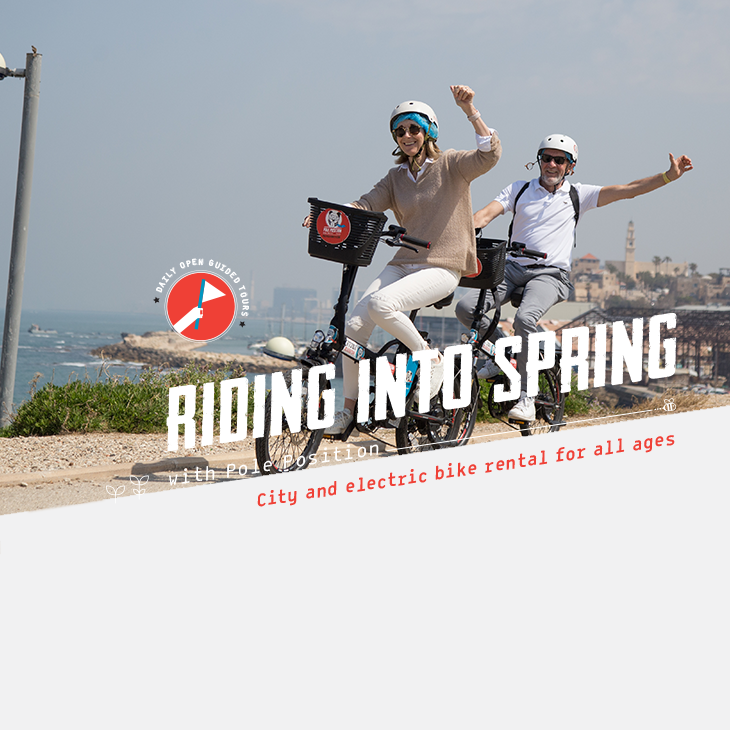 Pole position TLV invites you to rent bicycles and take part of the perfect urban riding experience. We put at your disposal electrics bikes for rent, as well as some of the best city bikes in the world. We offer riding experience for individuals as well as families. Together everybody can enjoy a tour of Tel Aviv with no traffic jams, no search for parking, crowded buses or paying expensive cabs. 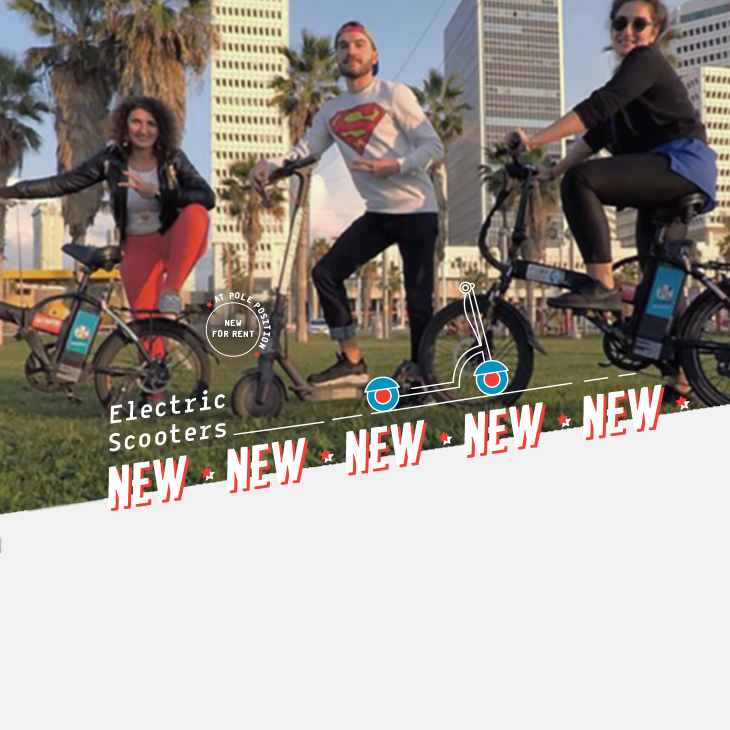 Rented electric bikes with my son today and explored Tel Aviv in a relaxed way for 3 hours…. Nadav, one of the owners, was very friendly and helpful. Suggest you try them out. Myself and my wifi rented the electric bikes for 3 hours (a first time for us). The bikes were great and they have proper cycle paths and routes in Tel Aviv so easy to manouver around cards without any danger. #monday starts like it should... on our bikes. Join us, everyday at 11:00 on our bike tours around Tel Aviv -Yafo. the most enjoyable ride of your life. other favorite location in our website. We believe that cycling is for everyone, so we are specially designed to accommodate all type of riders ,at all ages. What will it be for your family? They say that the best routes are those you haven’t taken. We believe that the best routes are those shared with friends. Just don’t forget to book your urban vehicle ahead at our website. Bikes or scooters? Don't think about it too much. Come in and we'll help you choose.